Our evidence based skin care range at ECosmetics is now available. To achieve your best skin, we believe you need a scientific, evidence-based skin care range to protect your skin and repair visible signs of ageing. We have found that the only way to bring you a skin care range that fulfilled our principles of TRUTH, SCIENCE, BEAUTY at a price that represents good value, is to do it ourselves. So we did that. Our 5 step formulations take you from cleansing, to day time protection from the UV radiation to and evening formulation designed for wrinkle reduction. ECosmetics products are based on active ingredients with the strongest scientific evidence in the perfect concentrations, in the correct formulations and in the appropriate mediums. ECosmetic products are designed for everyone. They are easy to use, look, feel and smell beautiful, are reasonable priced and most importantly are evidence based to slow and reverse the signs of aging skin. Hate nasties? We do to! So we have made sure eCosmetics contain no potentially harmful chemicals, preservatives or perfumes. And they are Australian made. 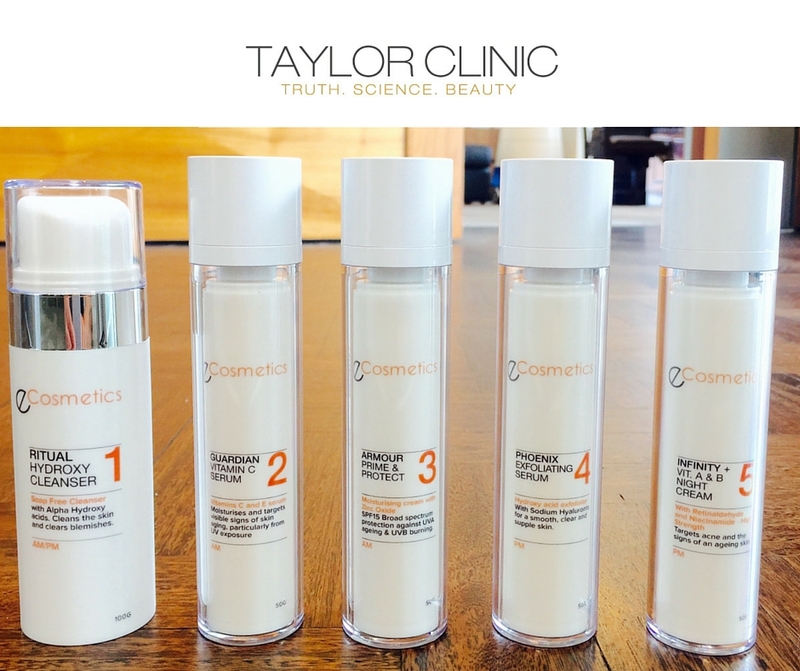 Bottom line; ECosmetics is your best bet scientifically formulated, endorsed by Sydney facial plastic surgeon, Dr Tobias Pincock and cosmetic doctor, Dr Suzan Bekir. Its easy comprehensive skin care designed for Australians who want the best for their skin.